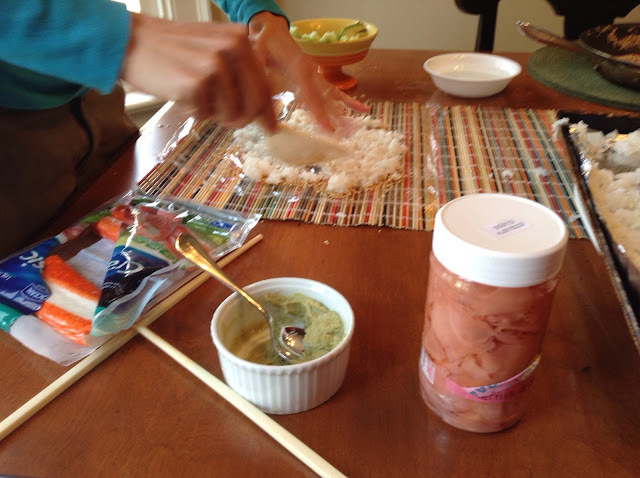 How to make California Rolls is the Secret Recipe Club recipe this month. Once again it is time for the Secret Recipe Club reveal. So fun to go through other food blogs and find a recipe to try. Even more exciting is to see what others thought was an interesting recipe to try off my blog. For those of you new to this club concept, each month we are assigned another blog and secretly find a recipe post that we would like to try, then reveal our experience with their recipe. This month I was assigned to Sid’s Sea Palm Cooking. 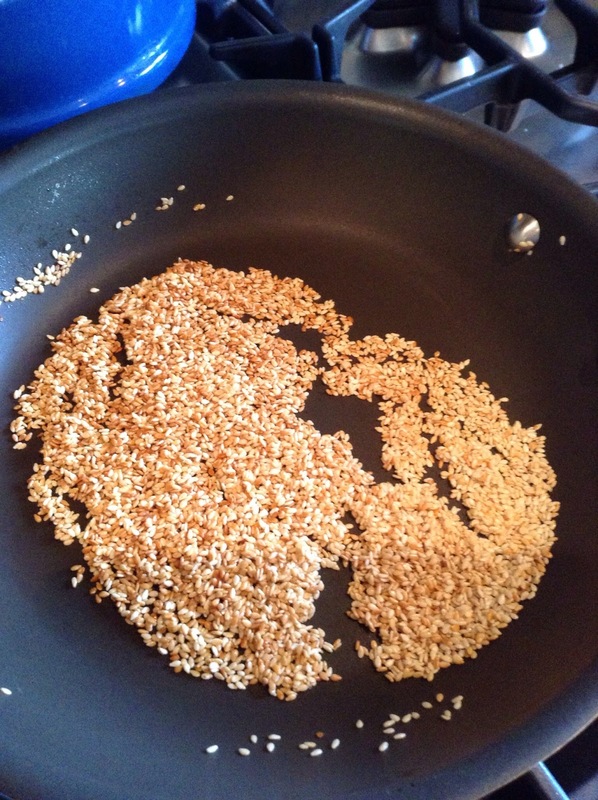 Here is a hint as to recipe I chose this month…. I have not attempted to make sushi since I was in college and my boyfriend at the time thought we would try. I think we ended up just throwing the ingredients in a bowl and eating it that way. So when I saw California Rolls ON Sid’s Sea Palm Cooking. I was all ready to either make another recipe off this great food blog, Sid’s Sea Palm Cooking or show defeat and write a failure post. I was ultimately surprised, and I think my family was too. Making sushi is really not that difficult. I can speak mainly how to make California rolls but I am ready to take on some more exciting roll combinations. Maybe even get some Japanese dish wear!! Toasted Sesame seeds are more expensive so I toasted them myself in a dry pan. All the ingredients were found at my regular grocery store. 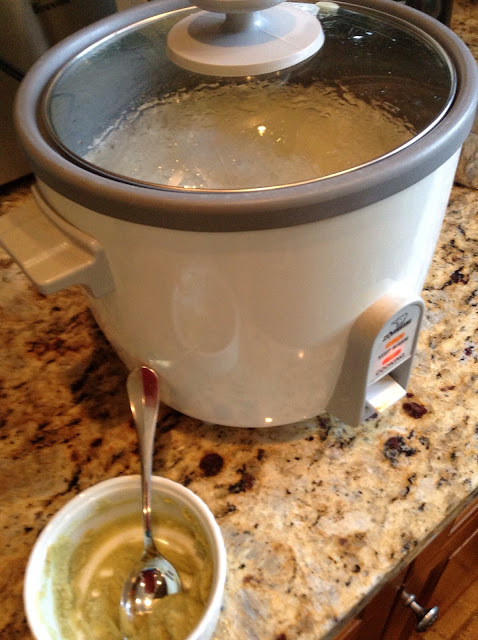 Could not live without my rice cooker. Just add ingredients and walk away. Have my wasabi paste made too. I had the powder already from this Barefoot Contessa recipe. Probably keeps better than buying the pre-made wasabi. I have my station all set up to start rolling. I did not have a bamboo mat , but have a bamboo runner on my table. Still worked. Mother’s day wish list item!! 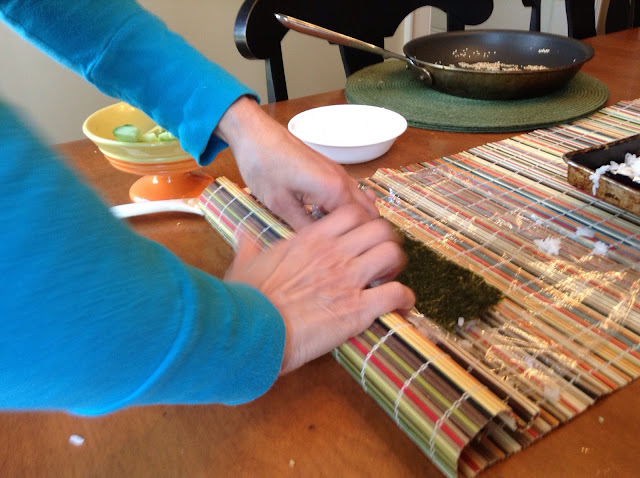 Adding all the ingredients over the Nori. 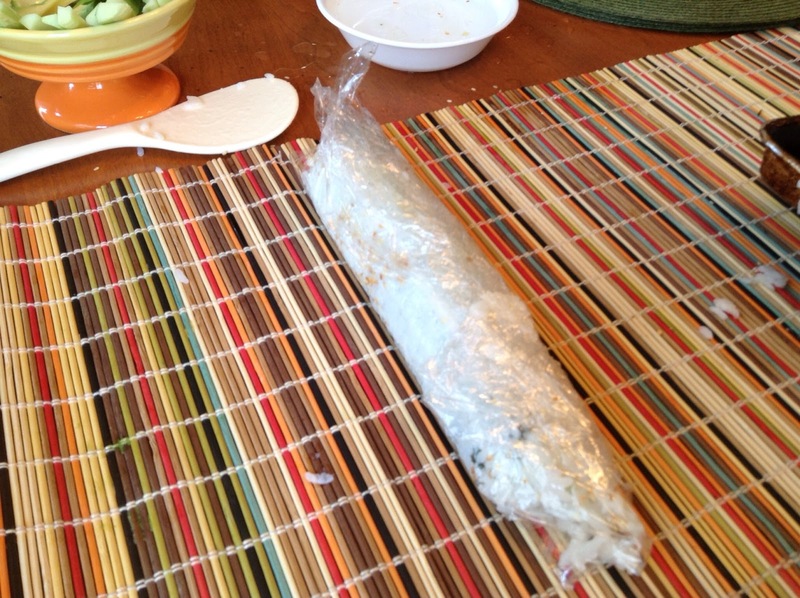 The learning process, how to make a tight enough roll while not getting the Saran Wrap into the roll. Best to have plastic wrap covering edge of bamboo and pull as your roll. 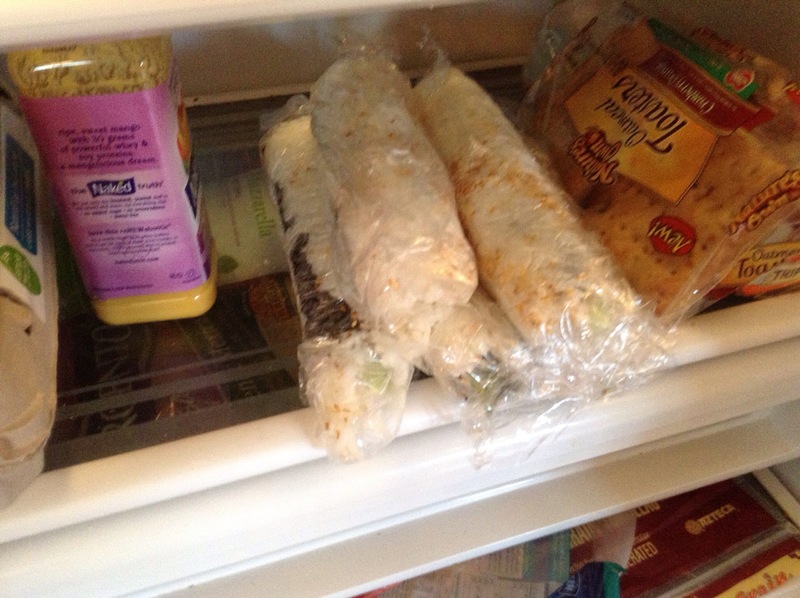 In the fridge until ready to serve. Just thought I would give them a few minutes to set up while I finished my rolling. The recipe made 5 large rolls. I definitely made them bigger than what you see at the restaurants or even grocery stores, you can probably make 8 normal sized rolls if you did it right! TA DA, I think they look pretty good. They tasted like the real thing, that is what matters right!! Just be sure to use a SHARP knife to slice them. Have you ever made sushi before?? Bravo for you! I bought one of those rolling mats a few years ago and am still chicken to give it a try. Thise look amazing. Great tutorial, I love sushi! I have, its not something I would eat everyday but all in all its enjoyable. I’ve never made it and probably never will attempt it, although your recipe looks pretty easy. Great job on your first time sushi roll challenge, and what a creative use of a rolling mat! 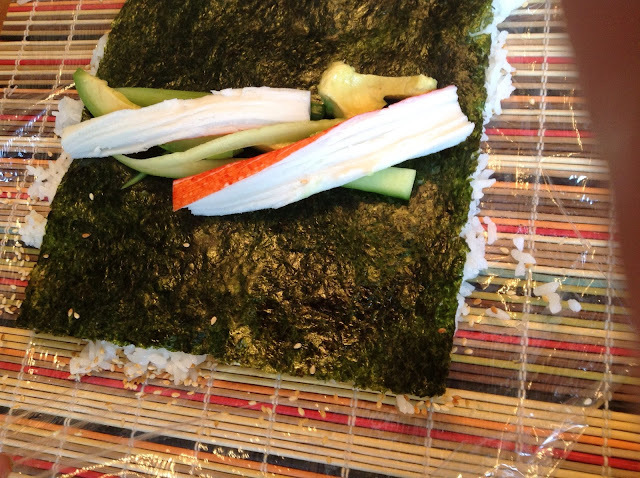 I take the easy way out with sushi, put the nori on the bottom, top with rice and then the fillings. It’s much easier to roll. YOur California Rolls look impressive. What a great choice. I have made sushi a couple of times before, but California rolls have scared me, but these look so tantalizing… makes me want to bust out the rolling mat!!! Tag! You have been blogged. I just posted the Banana Chocolate Chip muffin recipe so you had some non-orphaned blog love. Twice! And, yes. I love making sushi. That may come with having lived in Japan for 4 years. Besides the knife being sharp, run under cold water and wipe off the blade between slices. Another trick I learned there was to have it wrapped (1 layer) in wrap and slice through with the plastic on the roll. Thanks for the kind words, now you’ve made me hungry. I think California Rolls are on the menu for Tapas night this weekend. And your pictures illustrate the process very well. By the way, the bamboo place mat, it works, I love the idea. 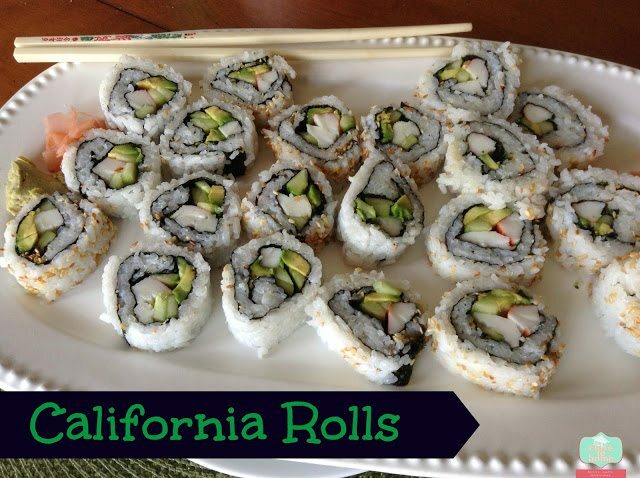 Your California Rolls look fantastic, what a great recipe. Great cooking with you in Group B! 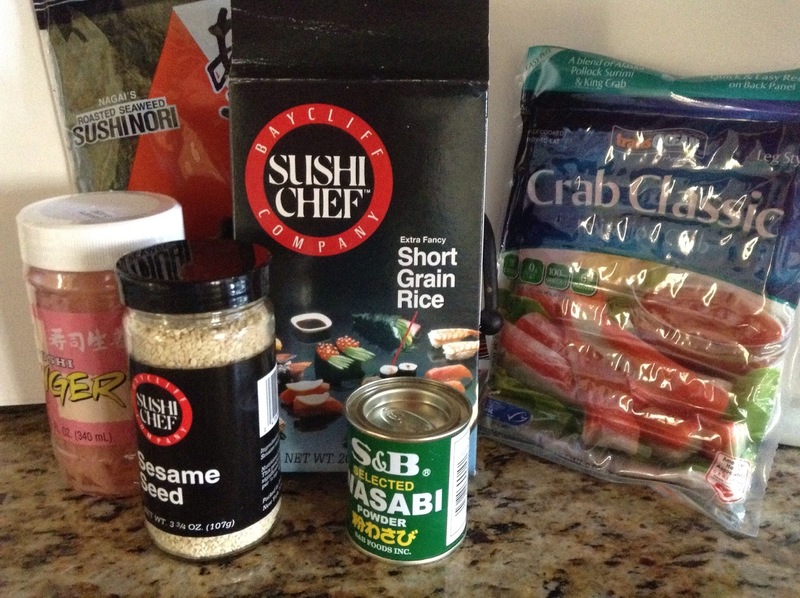 Thanks for the tips and making me feel loved in group B.
I love California rolls, thanks for posting this great recipe!! This really makes me want some sushi. YUM!!! Wish I could figure out where to buy Unagi!! You did a wonderful job they look great! I have never made sushi I need to give it a try. One of my favorite sushi rolls! Great SRC choice! oohhhhh! I love sushi and thanks for sharing it. Yum! My kids have been wanting to try this!! Thanks for sharing! this is on my cooking bucket list – yours came out great! Good for you! you executed this challenge perfectly.